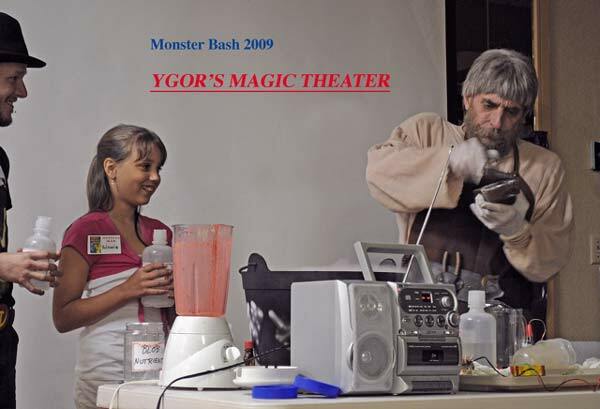 Photos provided by Barb Heiss, Kevin Slick, Phil Smoot, Geoffrey Curtis, Juan Ortiz, Brian Nichols, Steve & Maxine Wrzesien, The Spisaks, Cortlandt Hull, Dennis Vincent, Michael Joyner, Jerry Goodwin, Kevin Slick, Mark Hale, Mark Wilhelm, Phil Smoot and others - thank you! 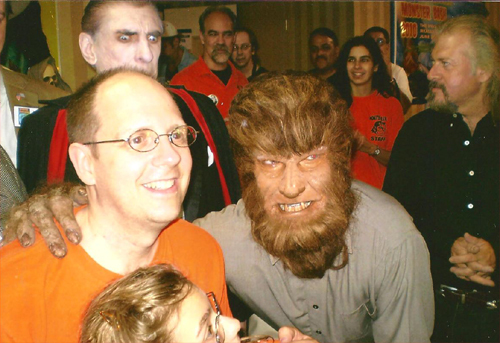 Ron Adams & Ron Chaney. 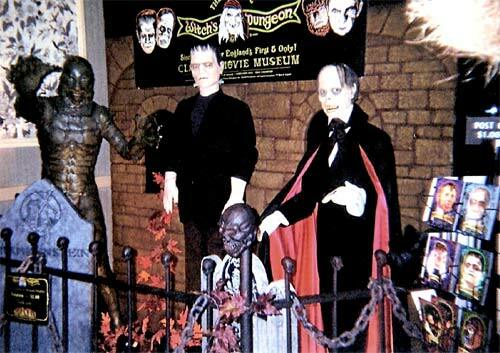 Bud, Mike Joyner and Lou. 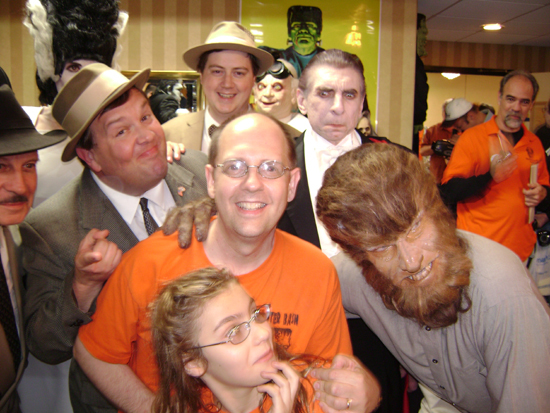 Ron Adams, daughter Paisley, and just another night at Monster Bash(!). 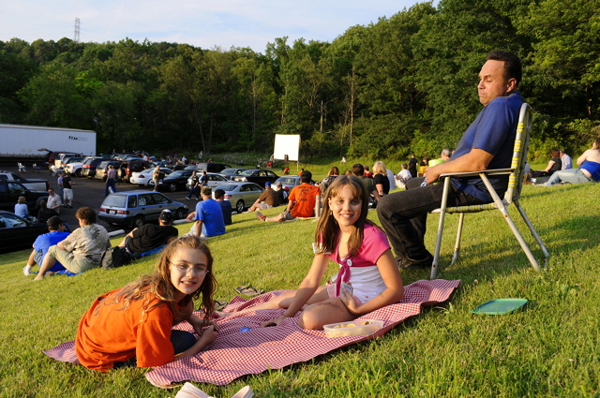 Getting ready to Drive-In Saturday night! 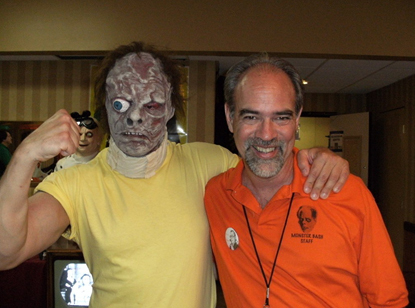 Teenage Frankentein Meets Bash musician Kevin Slick! 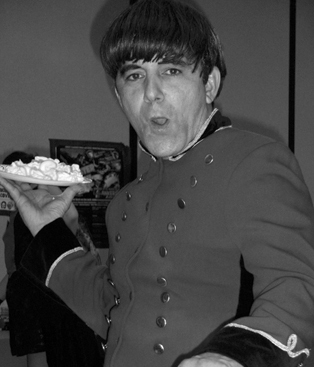 Jay Novelli is Moe Howard at Monster Bash. 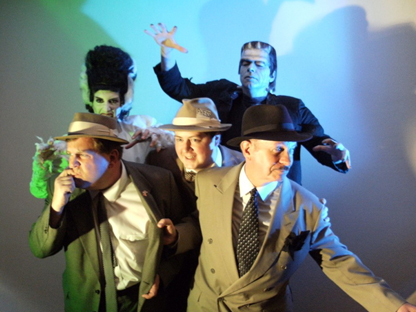 Abbott and Costello Meet the Monsters! 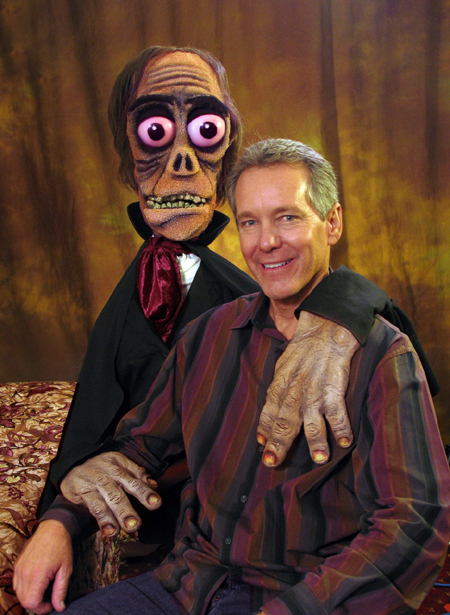 Photo by Kevin Slick, lighting by Michael Roddy. 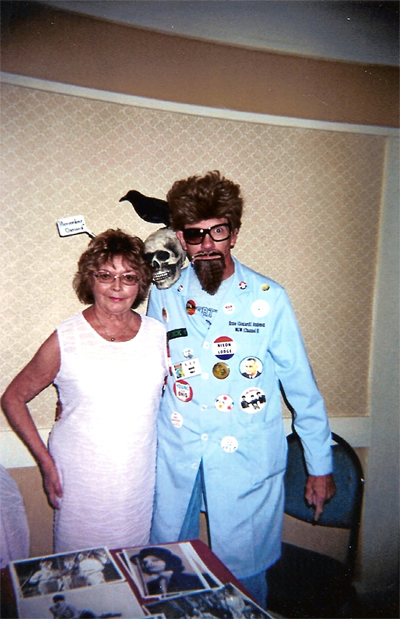 She didn't like the Frankenstein Monster in the movie...but she's got a hankering for Monster Bash staffer Kevin Slick. 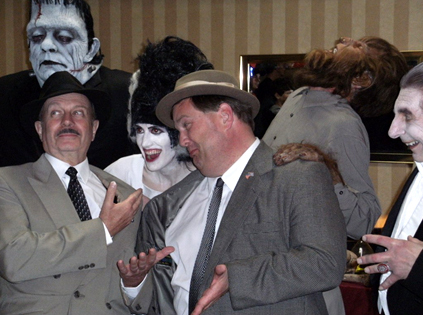 Call an exterminator....they've got monsters in the lobby at Monster Bash! 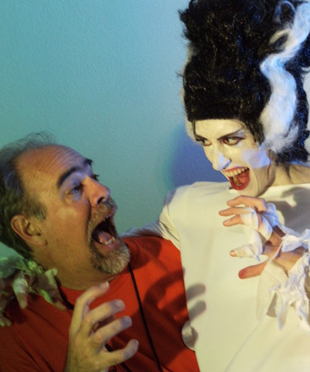 French actress Yvonne Monlaur (BRIDES OF DRACULA) with Monster Bash "Ghoulish" attendee Mark Hale! 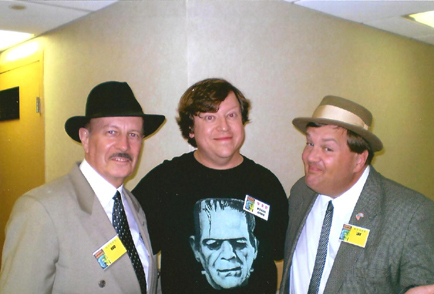 Gary Conway (right - Teenage Frankenstein) meets Mark Hale (as Ghoulardi). The Witch's Dungeon figures in all their glory! 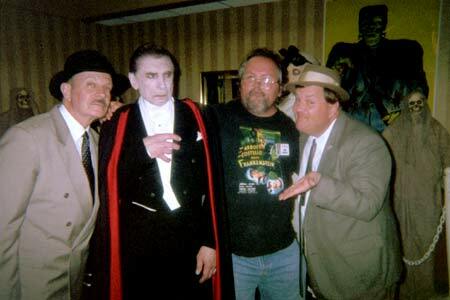 Bill Riley (Bud Abbott), Michael Thomas (Dracula), Mark Wilhelm and Joe Ziegler (Lou Costello) at Monster Bash 2009. 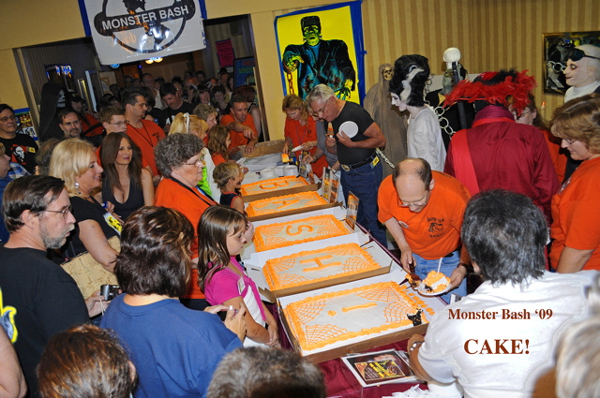 Photo submitted by Mark Wilhelm. 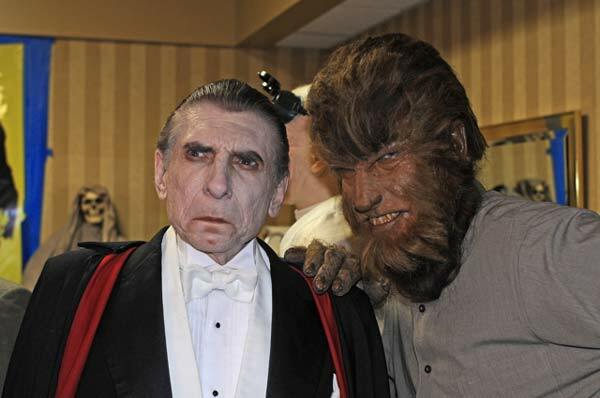 Michael Thomas as Count Dracula and Ron Chaney as The Wolf Man. 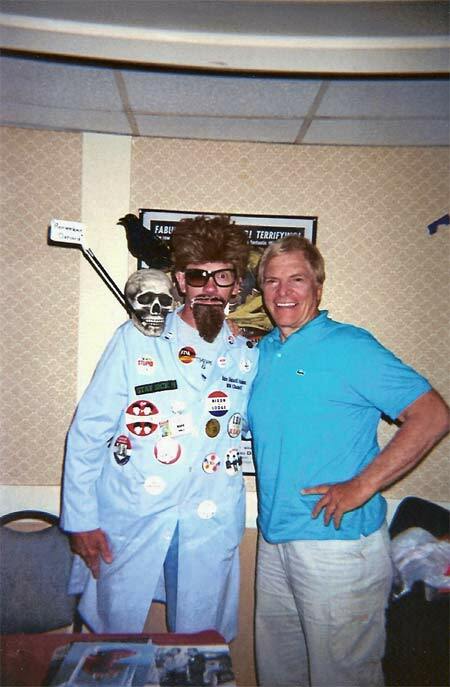 Ron Chaney with a Phantom puppet, courtesy of Cortlandt Hull and Dennis Vincent. 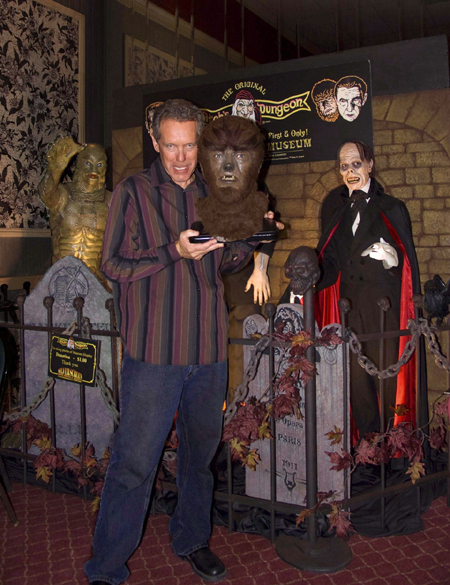 Ron Chaney hams it up at The Witch's Dungeon display at Monster Bash! 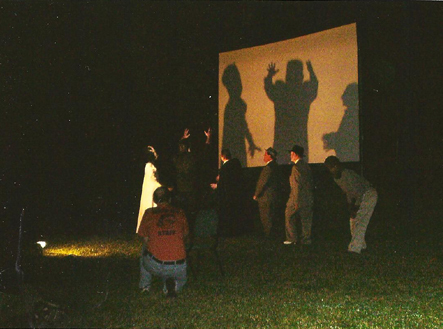 Abbott & Costello and the Monsters cast shadows on the big outdoor screen Saturday night! !